More and more people are leaving their digital cameras at home and relying on their cell phones to capture those magical memories. And why not? 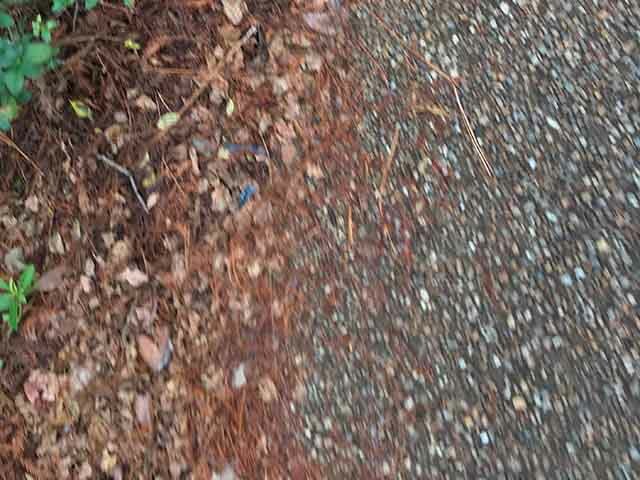 The camera in the latest smart phone is probably better than your aging digital camera. From weddings, child birth, and pictures with Mickey, iPhone-shaped video and photographs have become part of our daily lives. And now, the latest announcement from Disney Parks and Resorts shows that they understand this trend, as they plan to remove many PhotoPass photographers from the parks and substitute fixed selfie sticks in key locations. The first ever selfie was taken in 1839 by a man named Robert Cornelius. Yes, you read that right: an average person, not even a reality star, was responsible for the first selfie. While selfies have been around for almost two centuries, it wasn’t until the smart phone came about that the term was even first used. Millions of smart phone users have discovered they do not have to be left out of the picture, nor do they have to even turn the phone around to take the photo! 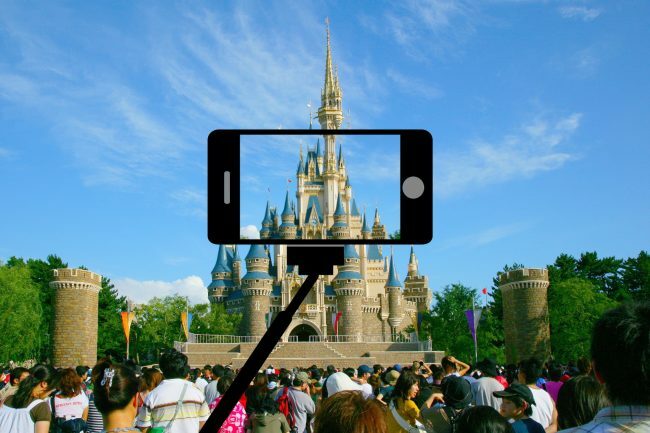 Phone manufacturers have made shooting selfie photography easier than ever, and now Disney has found a way to hop aboard this growing trend. Disney has announced that beginning this Christmas season, families visiting the Walt Disney World Resort will find a few less cast members equipped with camera gear roaming the parks, but a few more selfie sticks. According to the announcement, guests will now find “selfie stations” in key locations where PhotoPass photographers used to camp out — most notably on Main Street and in front of the Partners Statue in the Magic Kingdom Park. The sticks are fixed in place, so that the dangers of guests carrying them is avoided. Under the current PhotoPass system, most photographs cost $14.95 to download individually, but guests can purchase a “Memory Maker” package with unlimited downloads of all pictures. The Memory Maker package costs a whopping $199.99, but is available for $169.99 if purchased at least three days in advance of your vacation. With the new selfie-based system, the photo app from Disney will be free, and will be required to use the selfie sticks. Embedded Bluetooth technology will prevent just anyone from using the new selfie sticks. To download the photographs, it will cost $99.99 if you purchase the “Self-Memory Maker” package before your trip, with the cost going up to $149.99 afterwards. As with the current Memory Maker, the package includes the rights to use in both digital and print formats. The app will offer Magic Shots at no additional charge. Love them or hate them, selfies are here to stay!